….. 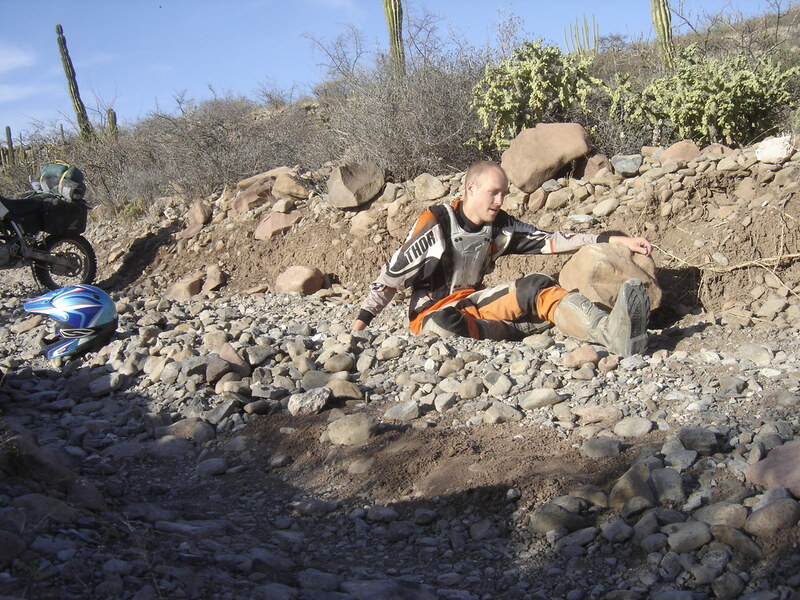 I rolled around for a while and went through the normal physical inspection checklist for a crash (I crash a lot). 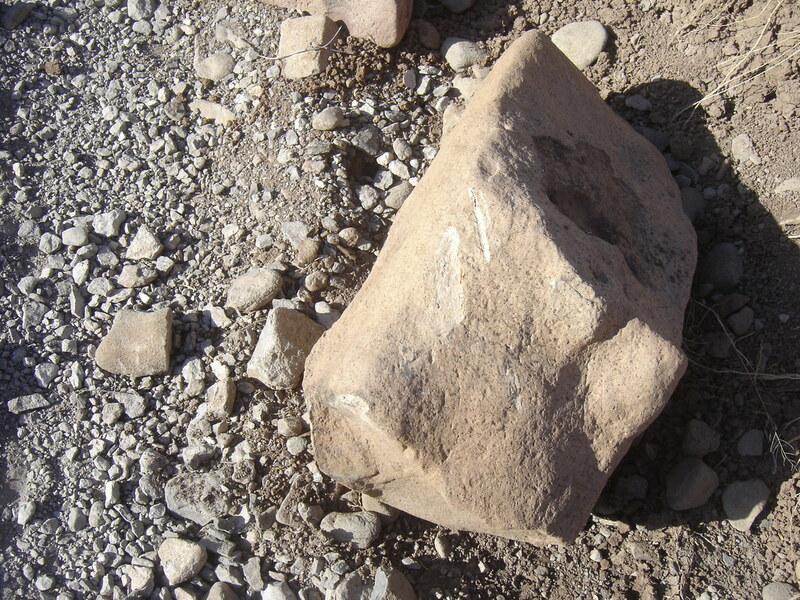 Once the pain subsided enough to move around I got to my feet and limped over to look at the rock. All the rocks on the right side of the road were on top of the rail before I came barreling through. Some good luck hit when the broken metal shards in the dirt were just pieces of the clutch lever, I was worried about a cracked case. 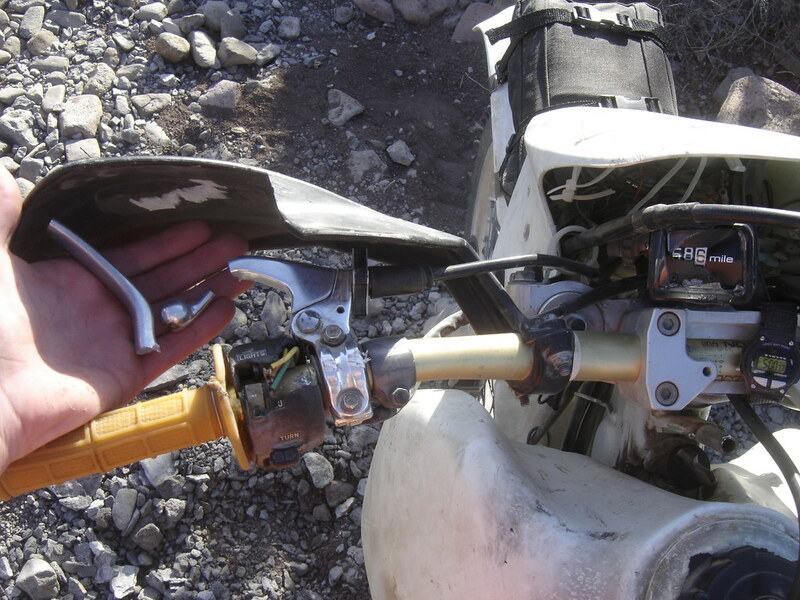 Damage report – broken clutch lever, smashed electric controls, crushed odometer, bent handlebars, bent front rotor, bent front wheel, gas tank mounting bolts ripped from tank on right side, bent saddle bag brackets, broken headlight mounts. I replaced the clutch lever with the spare, bent the rotor back to straight(ish) with a wrench, and adjusted the handlebars as best I could. The engine was flooded, no doubt about that. 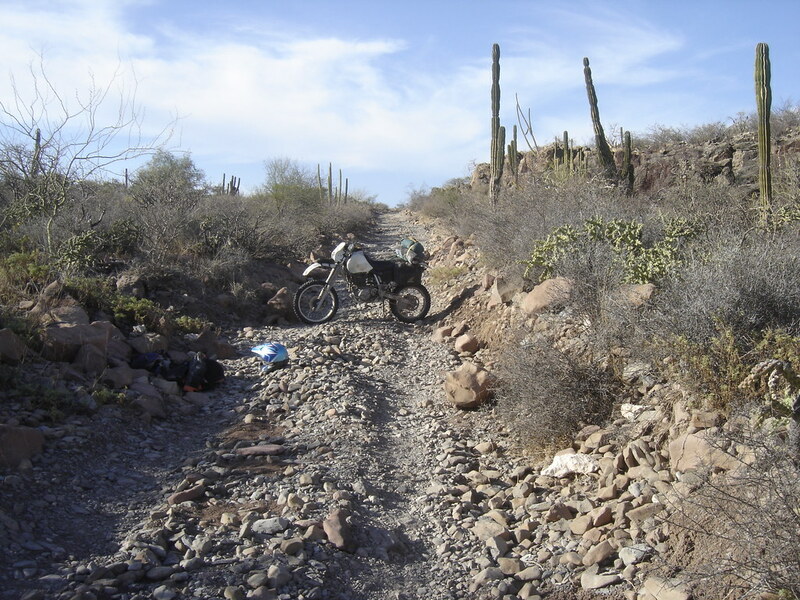 The road was rocky and loose, I was limping and my knee was throbbing and stiff. This was going to be hard. What ensued was a painful and exhausting combination of pushing, panting, resting, and cursing, but over the course of an hour and a mile I was able to get the bike started once again. If only I knew where I was going. . . . I thought the crash would be the worst part of my day, but I was wrong.. . . .